If you want to have a different view about Romania - a less known Romania, than you need to see the film Wild Carpathia. You’ll discover the hidden beautiful places which make people who visit them to get in love to Romania. Sibiu Area is placed in the hearth of Romania and is part of Center Region of Romania. Sibiu Area is mostly known due to Sibiu City, the European Cultural Capital in 2012. Indeed here you’ll find multiple ways to spend your time: the lovely medieval area with streets full of special perfume, participate to festivals, to concerts, plays, visit expositions and museums… anytime you can find something marvelous to do in Sibiu City! Also it’s economic growth makes Sibiu to be one of the most attractive industrial area in Romania! What about the Sibiu Rural Area? So, you’ll discover that it’s attractiveness grows gradually with the knowledge you’ll acquire about it. Sibiu area is mostly hilly and mountain, from 350m to 2500m, having temperate continental climate, varying due to the altitude. Dynamic industry is concentrated around Sibiu City but the traditional rural areas which surround the city can offer a b beautiful and relaxing atmosphere if you visit them. Inhabitants, 90% Romanians but also Magyar and German, still keep the traditional way to live, to work the land, to rise their animals or to handicraft the objects for their needs. Lovely small villages, having typical Romanian, German or Magyar rural architecture spread among spectacular landscapes. People are an example of good understanding and kindness. Cartisoara a nice village which can offer a lot of beautiful surprises, is waiting you to discover it. 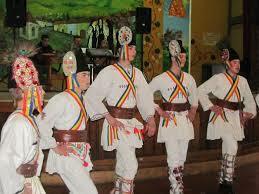 Here, the about 1241 Romanian inhabitants live and work in traditional way. The folkloric clothes they wear on celebrations, to the specific festivals or even in regular days, together with the traditional activities they do (working the land, rising the animals, handcrafting their needed objects) all contribute to a lovely peaceful atmosphere and a quiet traditional lifestyle . 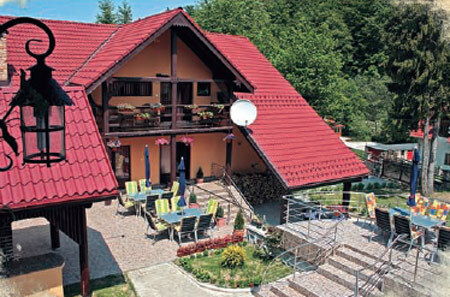 Cartisoara is very well placed at the feet of Fagaras Mountains, on the Transfagarasan Road. 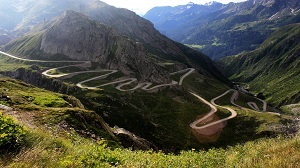 You know about Transfagarasan Road? It is a spectacular road which connects South of Romania to Transilvania. Want adrenalin? Go to Transfagarasan Road! If visit Cartisoara in the spring or in the autumn you’ll discover the transhumance, an ancestral habit to moove the sheep flocks from the mountain feet to the mountain top for feeding them with the natural grass growing there. What a tasty cheese they make! Actually speaking not only the cheese is very tasty but there are so many kinds of traditional food which are very tasty and healthy in the same time! Because there, people practi ce the small farming agriculture and most of food is made by them. Immerse yourself in local culture with a stay in a traditional farmhouse or family run guesthouse! There are more than 20 pensions and farmhouses from which you can choose one. Different kinds of trips can be made from Cartisoara. Relaxing trips in and around the villge and also Cartisoara offers direct access to mountain trips. Fagaras Mountains are still wild area and Cartisoara village is an excellent point to start a fantastic journey on the top of the Fagaras Mountains. And that’s because the atmosphere, the houses, the landscapes and, of course the people will give you many reasons to love this place and to come back again. 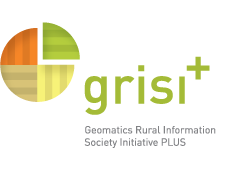 The project approaches the regional development process by a new perspective, using the geographical information which are processed using specific information systems and applications for improvement the economic attractiveness level of the rural areas in Europe. The decision makers from local and regional level can use this type on information for development plans and strategies to attract new citizens and economic initiatives in the rural areas with depopulation risks. Also, the geomatic instruments can be used for promotion of local products and to improve the touristic attractiveness of the rural areas. The Project “PROMOBIO - Promotion to Regional Bioenergy Initiatives”, has the main objective to sustain the regional initiatives in the field of bioenergy, having the purpose to facilitate the development of new business projects in the field of bioenergy in three regions in Poland, Romania and Slovakia. During the implementation period, the project will support the regional initiatives of local authorities and the companies from the three regions to develop local projects and business for using the biomass. The project aims the entrepreneurial promotion in the food industry. The main objective of the project is to improve the efficiency of the local and regional policies in the field of food industry, and also to sustain the entrepreneurial activities and increase the competitiveness of the SMEs which activate in this field. Based on fact that there is great potential, very few exploited, in the area of traditional products and the small producers, this potential can be improved by plying an adequate policy for their sustain. BISNet Transylvania - Business Innovation Support Network Transylvania. 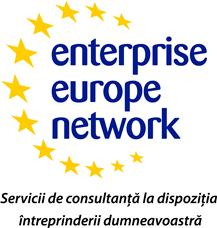 Starting on January 2008 Regional Development Agency implemented the project BISNet Transylvania - Business Innovation Support Network Transylvania. The main objective of the project was to create a network to sustain the business and innovation in the Center and North-Vest Development Regions.